The Punjab Minister claimed that the two candidates, between whom the toss was made, had the same level of merits and they themselves proposed the idea of this way of decision. CHANDIGARH: Clarifying his stand on tossing the coin for the post of professor, Punjab Technical Education Minister Charanjit Singh Channi on Tuesday said the process was carried out with transparency and without any corruption. Speaking to ANI, the Congress leader said, “There were 37 candidates and they have been allotted their desired stations. Earlier, there used to be huge corruption in this context therefore, so I broke down the nexus and called those 37 candidates and allotted their desired stations. But there were two candidates who wanted the same stations and their merit was also on the same level. They themselves proposed for a toss. There has been no illegal activity in this concern. This was done on the basis of corruption free and transparency”. A recent viral video has shown Punjab Technical Education Minister tossing a coin to decide a transfer case. 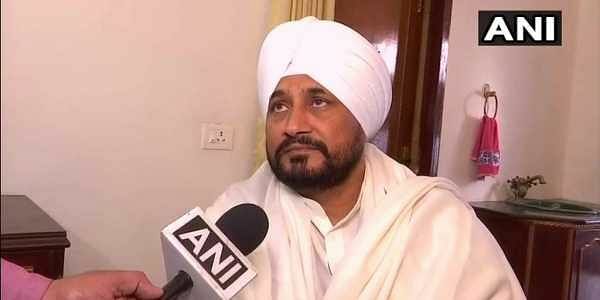 The incident has prompted the opposition Bharatiya Janata Party (BJP) to demand Channi's resignation.